© 2016 PETRA-E Network (British Centre for Literary Translation, Conseil Européen des Associations de Traducteurs Littéraires, Deutscher Übersetzerfonds, Eötvös Loránd University, Fondazione Universitaria San Pellegrino, Katholieke Universiteit Leuven, Nederlandse Taalunie, Universiteit Utrecht). The PETRA-E Project website was created within the ‘PETRA-E’ project funded by the European Union Erasmus Plus Programme, Strategic Partnerships (2014-2016). The Framework is based on the Leerlijn Literair Vertalen (Learning Line Literary Translation, initially created by the Centre of Expertise for Literary Translation Utrecht/Leuven). This project has been funded with support from the European Commission. This website reflects the views only of the respective authors, and the Commission cannot be held responsible for any use which may be made of the information contained therein. Universiteit Utrecht: Ton Naaijkens, Cees Koster. Nederlandse Taalunie: Karlijn Waterman, Ingrid Degraeve. Katholieke Universiteit Leuven: Henri Bloemen, Winibert Seegers. Fondazione Universitaria San Pellegrino: Stefano Arduini, Roberta Fabbri. Eötvös Loránd University: Orsolya Réthelyi, Judit Gera. Deutscher Ubersetzerfonds: Ulrich Blumenbach. Conseil Européen des Associations de Traducteurs Littéraires: Françoise Wuilmart, Teodora Tzankova. 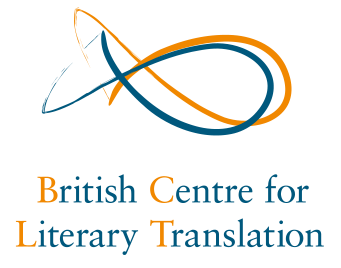 British Centre for Literary Translation: Duncan Large, Cecilia Rossi. All the materials on this website are protected by internationally recognized laws of copyright and intellectual property. It is permitted to use materials for approved purposes only. Materials are all or any part of any text, image, audio, video or any other type of media in any format contained and comprised in the website. Approved Purposes are educational, academic, scholarly or motivated by private interest. They are strictly non-commercial. In doing so, you promise to attach copyright notices to the materials marking them © PETRA-E Project unless otherwise indicated on our website. You also promise that you will not infringe the intellectual property rights of authors of whom you are given notice on the website (INFO tab within each site). You must not distort, mutilate, modify or take other derogatory action prejudicial to an author’s reputation in relation to their materials.